We went NICI shopping recently and we came back with free NICI shopping bags!! This is our first time getting it and this NICI Wild Friends shopping bag is so cute! 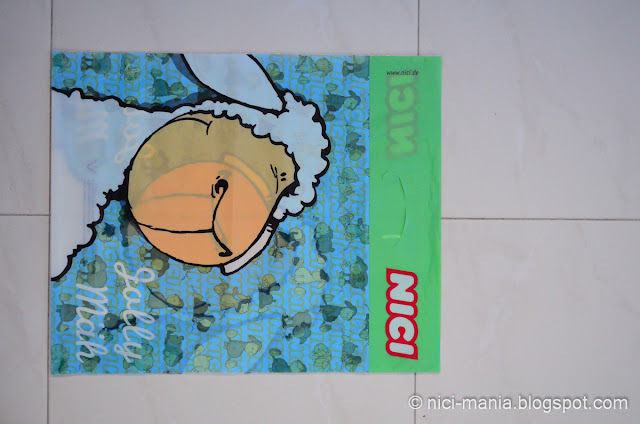 We didn't even get any NICI logo'd bag while shopping from the NICI shop in Germany. Here is the Jolly Mah shopping bag. This is very cute too! 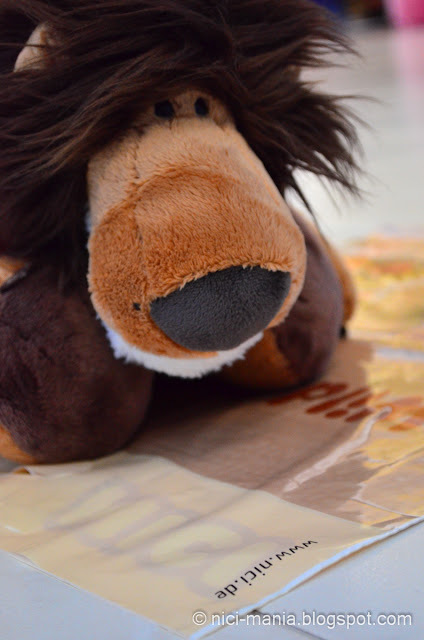 The plastic material is nice and moreover the color of the print is beautiful. 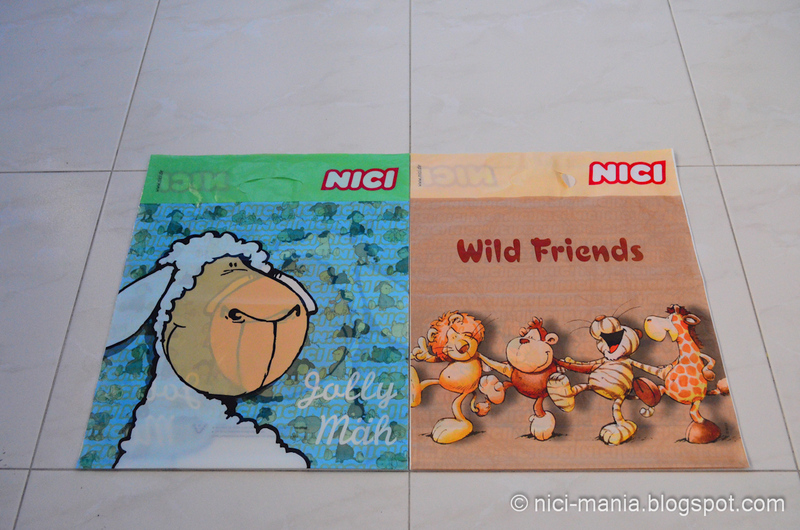 Here are both the nici shopping bags we got. 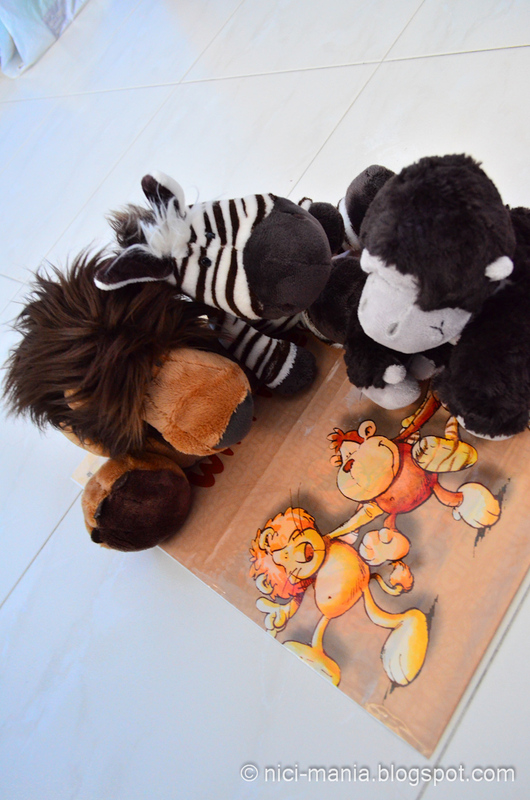 Later, some of our NICI wild friends came over with curious eyes..
NICI Zebra: You look nothing like that lion too! 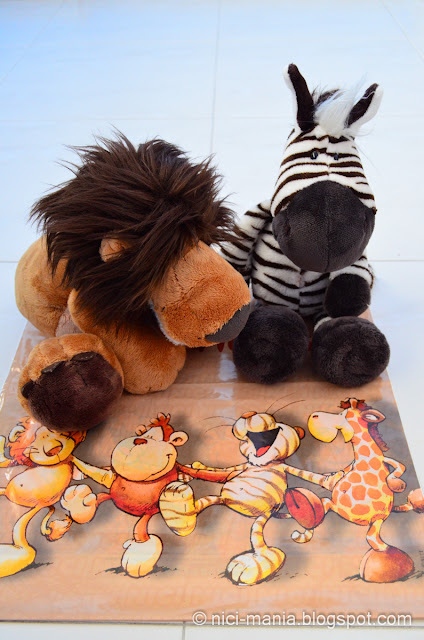 Both NICI Lion and Zebra: Hey Milo, that is definitely not you! 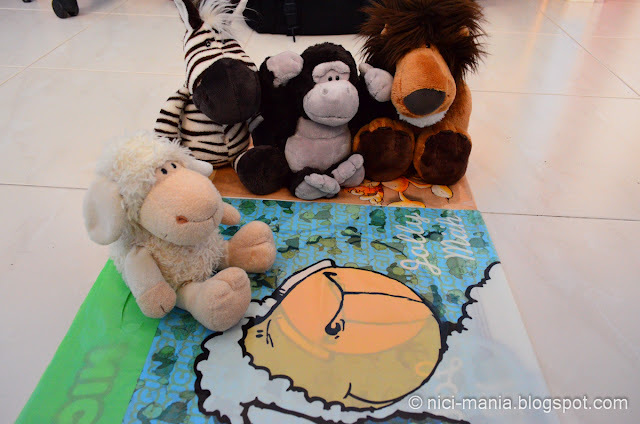 What happened to our nici monkey, anyone saw him? He went AWOL..
Jolly Mah exclaimed: Now this is surely me in the picture! 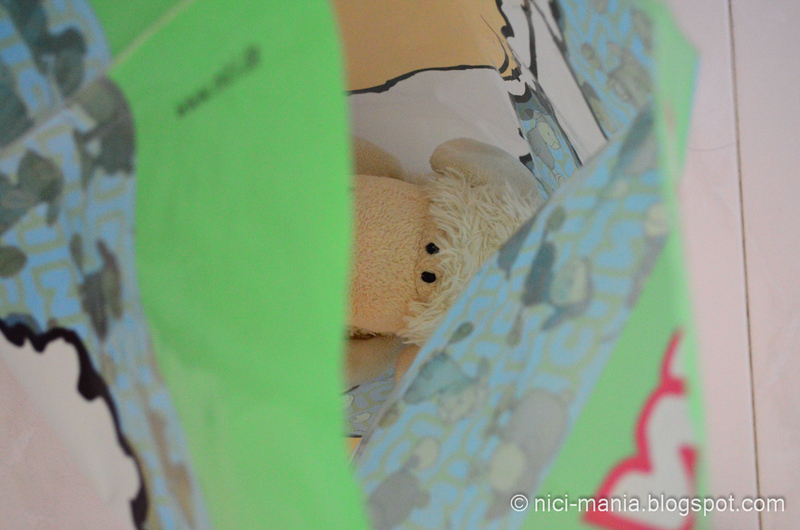 Hahaha, this bag belongs to me. 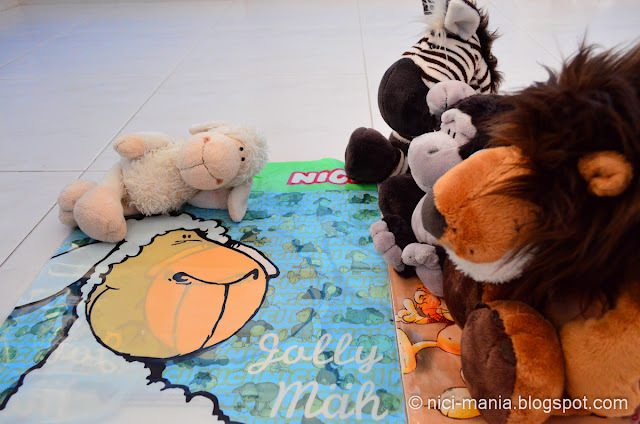 What Jolly Mah said just now enraged those 3 wild friends. With sarcasm, they went.. These NICI shopping bags are seemingly made in Germany. Its all in German words at the bottom of the shopping bag. 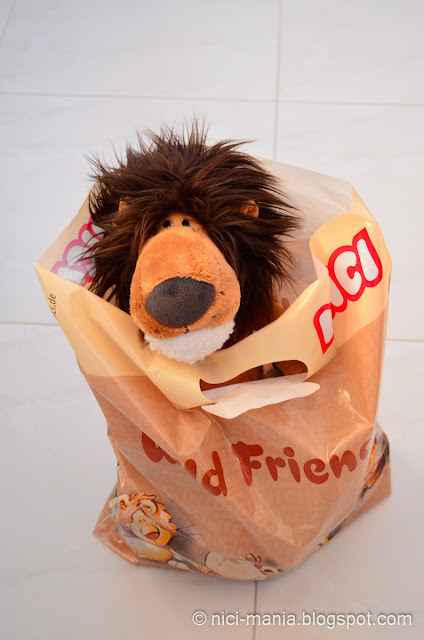 NICI Lion jumps into the wild friends shopping bag gleefully. 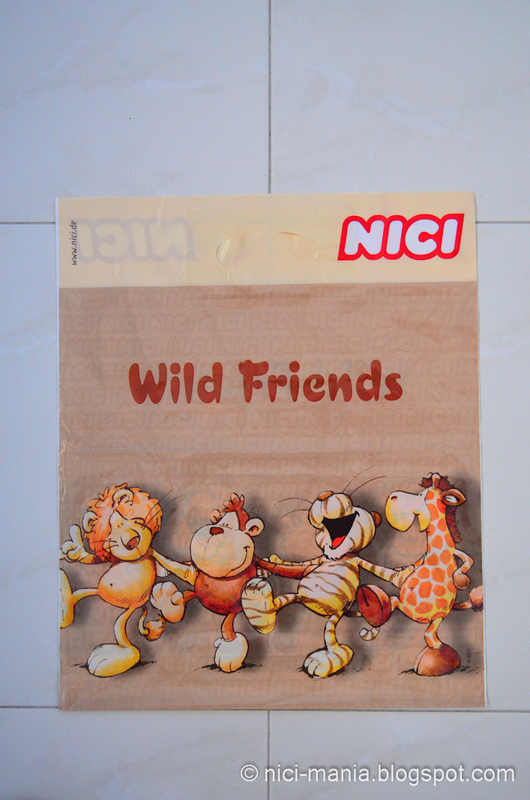 If you want these beautiful bags, go buy some NICI plush toys now before all the beautiful shopping bags are gone. 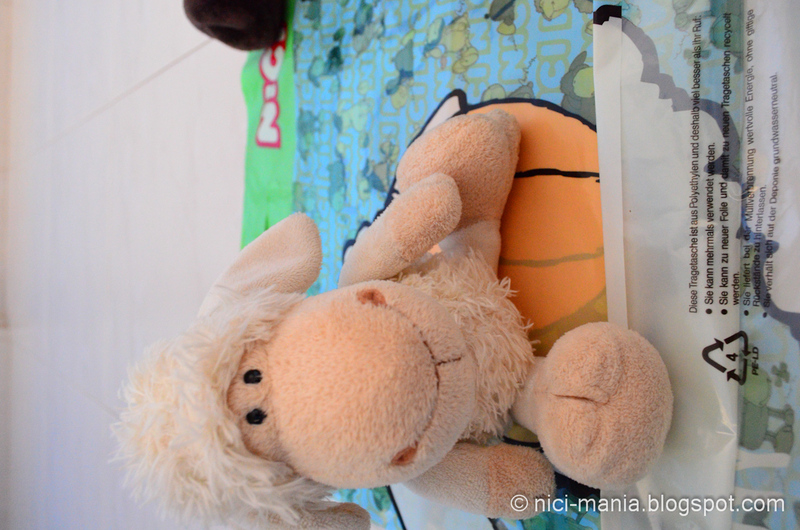 Yes we bought some new nici toys, will be posting them in the upcoming entries!